Valentine's Day is right around the corner! And while many people loathe February 14th, others love getting swept up in the romance of it all. Over the years, there's been some interesting research about Valentine's Day. 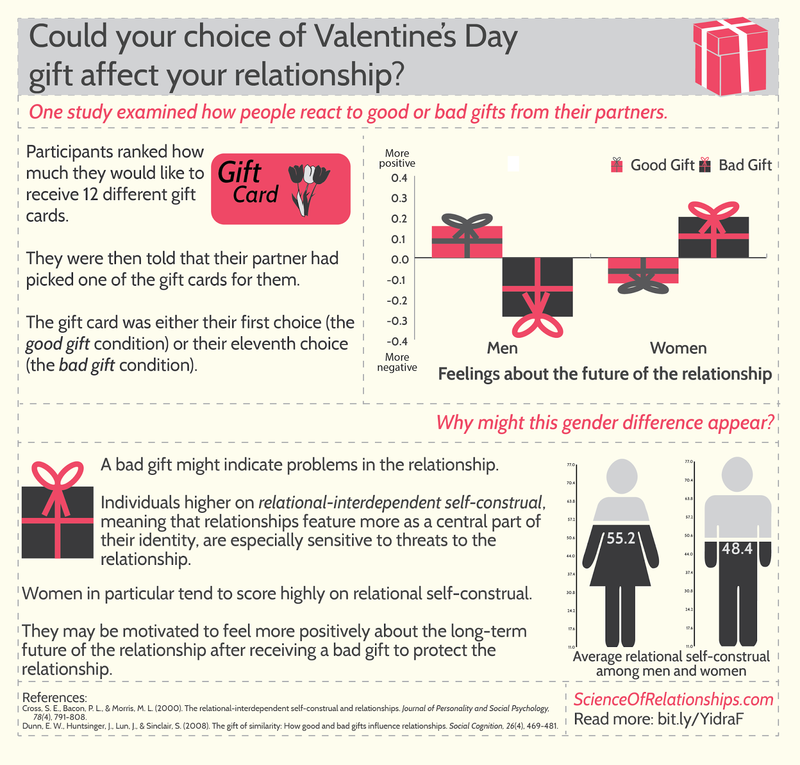 From Morse and Neuberg (2004) discovering that February is the month with the most break-ups to Cross, Bacon, and Morris (2000) revealing how gifts received on this day impact relationship quality. 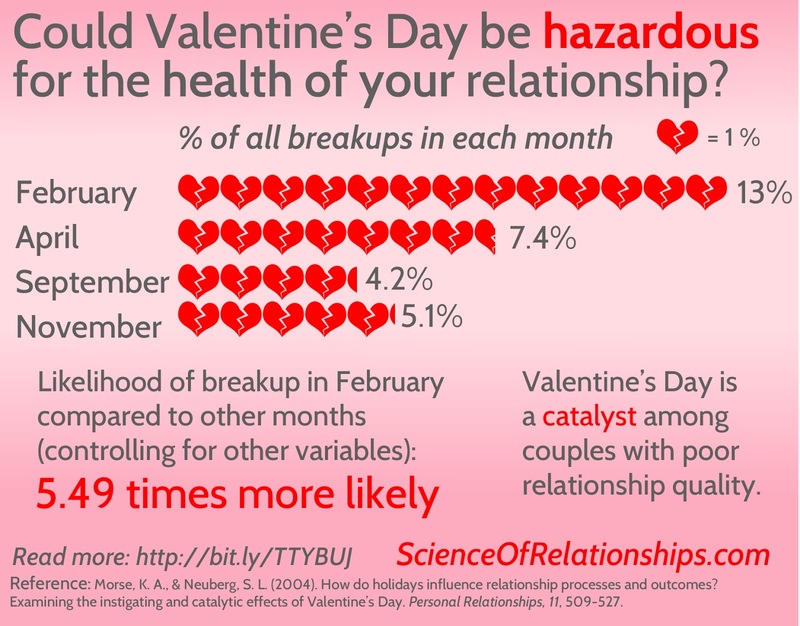 Below are two infographics (made by ScienceOfRelationships.com) that clearly outline these two lines of work.